German manufacturers including Volkswagen, BMW and Daimler have been heavily criticised after reports revealed that they contributed to a study testing diesel emissions on monkeys. The manufacturers were taking part in a study in 2014 that was hoping to prove how clean their engines were compared to the past. Monkeys were caged watching television cartoons for hours at a time, while inhaling fumes from a Volkswagen Beetle. 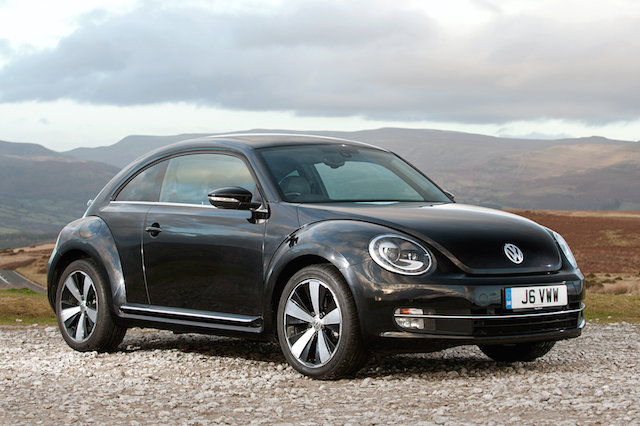 However, it since been found out that, unknown to the researchers, the Beetle was actually fitted with the emissions cheating technology that would lead to the Dieselgate scandal the following year. A description of the experiment, as well as a mock-up scene appeared in the first episode of Netflix documentary 'Dirty Money' last Friday, that looks into corporate wrongdoing. The study involved a 2013 Volkswagen Beetle and a Ford F-250 pick-up being tested for emissions. In the first proposal of the test, a human on a stationary bicycle was meant to be tested, but this was amended to 10 monkeys instead. It was commissioned by the European Research Group on Environment and Health in the Transport Sector (EUGT) – a group funded by German carmakers Volkswagen, BMW and Daimler. The organisation closed down last year. All three manufacturing groups are distancing themselves from the study, although the head of the EUGT, Michael Spallek, said that it was Volkswagen's lawyers that suggested "using primates instead of humans" for the test. BMW and Daimler have repeatedly slammed the testing, with BMW saying it "does not carry out any animal experiments", and Daimler adding that, "the animal experiments in the study are superfluous and repulsive". The study has received condemnation from lawyers and animal activists alike. Aman Johal, director of consumer action and group litigation specialists Your Lawyers, said: "How does a global corporation think it can continue to get away with another act of fraud? Testing on helpless animals is absolutely sickening. "If consumers weren't lacking trust in VW before, this revelation will certainly push them to consider the ethics behind the company." Mel Evans, clean air campaigner at environmental charity Greenpeace, spoke of the group's outrage at the revelations. She said: "These bewilderingly abhorrent lab tests on monkeys and possibly humans, show yet again that VW is wholly untrustworthy and will do anything to promote dirty diesel. "VW owes its customers and the public a fast turnaround and must end diesel sales to switch to cleaner, reliable electric."